I am sure many of you in the industry use the fantastic Franchise Update Media's Franchising.com newswire. What and who you might not know is the lovely lady who gets up every AM at 4:00 to enter all of our press releases. Her name is Esther Foley and she and her husband Dave are on a mission. 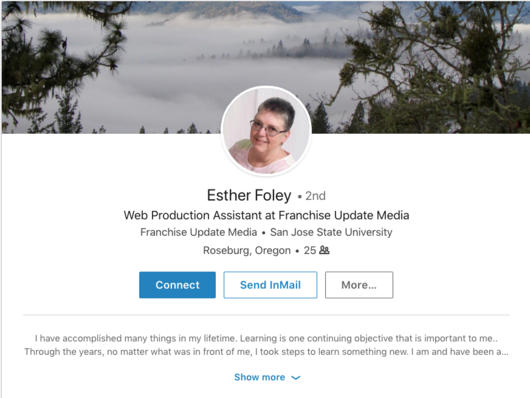 I have never asked anything from the franchise community except when I donated a CFE scholarship in the name of Lois Marshall, the beloved franchise recruiter who passed away several years ago. Many of you gave what you could for a scholarship and I made up the balance. We all know that Therese Thilgen and Gary Gardner do so much for the franchise community, but so does their whole team. Please see a heartfelt letter from Esther below and give what you can be following instructions! Many of you know I have 30 elephants I sponsor in Nairobi. Please help Dave and Esther realize their dream. Two years ago Dave and I joined the missions committee at our church. We have enjoyed learning about the missions around the world we support. When we were a young couple, we both wanted to do missionary work, but doors had closed over the years. To my surprise, in the past couple of months we started sponsoring a little girl from Rwanda through Africa New Life Ministries (ANLM) and now I found out I have this great opportunity to go with my church on a mission trip to Rwanda and will be able to meet our little girl we sponsor! Rwanda is a small but densely populated country nestled in East Africa. During the 20th century, Rwanda reached a height of violence in the 1994 Genocide. Now, over 20 years since the Genocide, Rwanda has and continues to demonstrate to the world the power of reconciliation and forgiveness. The trip is conducted through this non-profit organization called Africa New Life Ministries (ANLM). ANLM is a child sponsorship organization that provides a comprehensive level of care to the students, ministering to both physical and spiritual needs as well as focusing on the communities at large. Churches like mine join together to send teams to work alongside ANLM's ministries in Rwanda. We will be going from August 13th - 23rd, 2018. It will be 8 days in Rwanda including the cities of Kigali and Rubavu. Our team will be conducting a Vacation Bible School for the children there. Being a grandma, this is right up my alley and would love the chance to go. Even though it is a short trip, I believe my love for Christ and our work there will bring the world a step closer to spreading God's love to all. I would like to invite you to join me in this experience by praying for our team and the ministries in Rwanda. God's word. I humbly invite you to prayerfully consider financially supporting me on this trip. I'm looking to raise $3000 in gifts to Africa New Life Ministries by July 1, 2018 . Your support means a great deal! Please see the information below for details. Esther Foley - Westside Christian Thank you very much for contributing to my service in Rwanda. I value your investment in our team as well as your prayers during our time in Rwanda. Below are two ways you can contribute financially. It is asked that contributions are given no later than July 20, 2018. (Please do not write my name anywhere on the check). Select Esther Foley, add your donation in the box and follow the directions through the process of online giving. 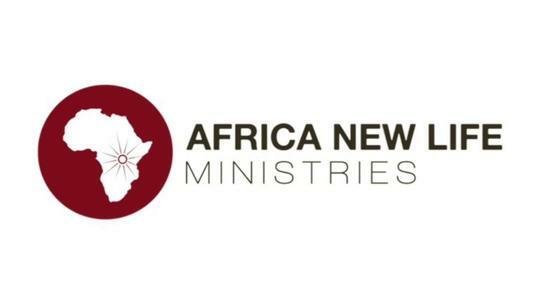 Africa New Life Ministries is a nonprofit 501c3 organization and all donations are taxdeductible to the full extent of the law, so far as no goods or services were exchanged. You will receive a receipt recognizing your donation in January following the year of donation.